John D’Angelico (1905–1964) was a luthier from New York City, noted for his handmade archtop guitars and mandolins. From 1932 – 1964 D’Angelico made a total of 1,164 guitars; they were the most coveted arch top guitars of the period. In 1952, he hired Jimmy D’Aquisto as an apprentice, who would eventually buy the business from the D’Angelico family. D’Angelico and D’Aquisto are generally regarded as the two greatest archtop guitar makers of the 20th century. D’Aquisto went on to be the most eminent jazz guitar builder of the 1970’s and 1980’s. His first guitar under his own name was made in 1965. As well as jazz guitars he also made solid body electrics for artists such as Steve Miller and acoustics for Paul Simon. He died in 1995 having made just 371 instruments. In 1988 Mr. Jerry Barberine, President of D’Angelico, signed an agreement with Mr. Hidesato Shiino from the Vestax Corporation to revive the D’Angelico New Yorker. This agreement lasted until 2004. Since 2005 D’Angelico guitars have been produced in Japan (New Yorker archtop models) and South Korea (Excel series and New Yorker solid body models), with years of development having gone into them; they offer a laminated spruce top and laminated maple sides and back to stay within a price range. This method of laminated construction is a major point of departure from original D’Angelicos, reminding us that it is a manufactured copy of a piece of Americana. 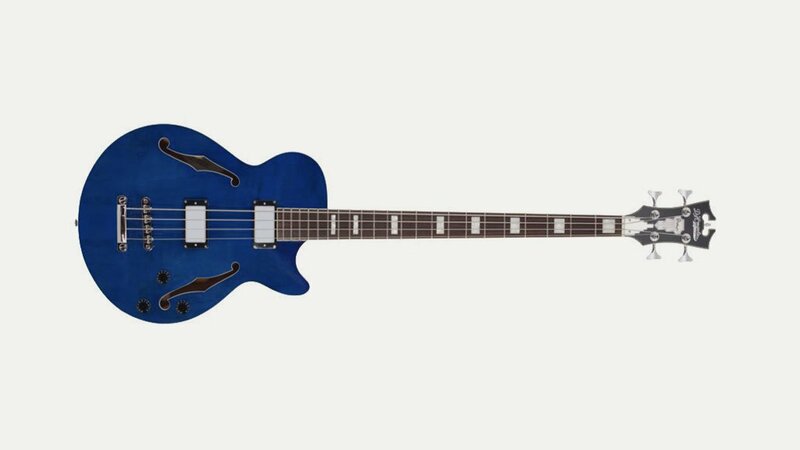 The D’Angelico Guitar Excel line has several models from which to choose – the EXS 16″ archtops, the EXL 17″ archtops, the NYSD solid body and the recently redesigned EXSS and EXDC semi hollow models. All are first class instruments. Owner and jazz guitar player Jeff Hale liked the first EXS-1DH so much that he kept it for himself and gigs with it regularly.